One of the hottest places to visit right now is Hong Kong. This is evident with the number of tourists that visit the city each year. In 2016 alone, there were over 56 million visitors in Hong Kong, putting it high up amongst the top 15, most visited cities in the world. There are lots of reasons why you should make a visit to Hong Kong. Firstly, there’s the wonderful people, the numerous city attractions, the shopping, the great Hong Kong weather and the buzz and excitement of a large bustling city. There are so many places to visit in Hong Kong and here I have listed the main ones for those short on time. If you are looking for lots of information on visiting Hong Kong for the first time, what area to stay and where to find the Hong Kong tourist spots, then my city guide has everything you need to know. I spent four days in Hong Kong and was able to see quite a lot in that time. If you are a first time visitor to Hong Kong, it can be overwhelming on where to start your journey. I always find that taking the hop on hop off bus in a large city as a fantastic introduction and generally just getting my bearings. I highly recommend it in any city, especially if you don’t have a solid itinerary or are just short on time. Hong Kong boasts of a truly iconic skyline. With over 300 skyscrapers, Hong Kong is an impressive city with the highest number of skyscrapers in the world. The view looking towards Hong Kong Island’s central business district is regarded as the most beautiful skyline in the world. The view at night is just incredible and the presence of Chinese junk boats with glowing red sails makes for a very majestic site. If you are staying on Hong Kong Island, take an evening cruise on the Star Ferry that will take you across the harbour. 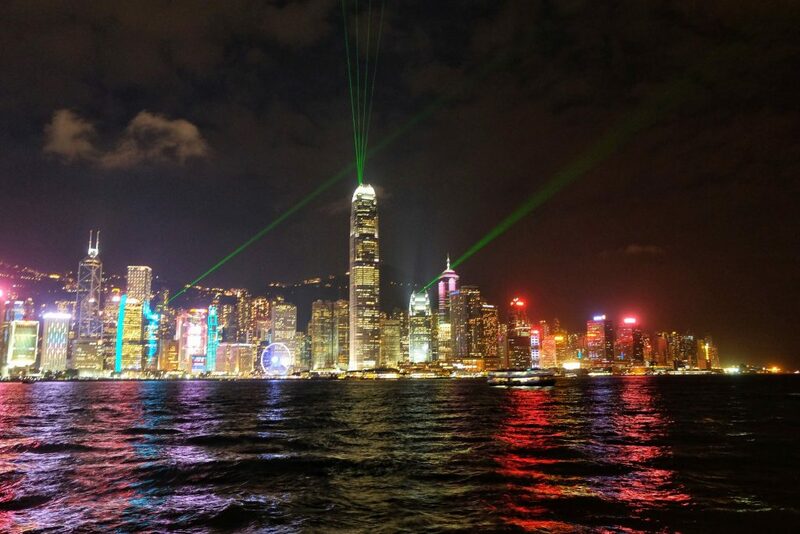 From there tourists can enjoy the Victoria Harbour and get a fantastic view of the skyline. You can also get to enjoy the Symphony of Lights, which is an amazing light and sound performance. The Observation Wheel opposite the skyline is also a wonderful place to enjoy the amazing skyline view. The Victoria Peak is the highest point in Hong Kong. At a height of 552m, the Peak is one of the most popular Hong Kong Tourists attractions that tourist flock to in droves. The view from the top is nothing short of breathtaking. Victoria Peak is easily reachable from the city’s center, and it offers a perfect view of almost the whole of Hong Kong. Getting to the top is by way of the 125 year old Peak Tram. A ride on this tram is quite a delightful and unique experience as it climbs up the peak. The tram runs every ten to fifteen minutes, from 7am and right up until midnight, giving you plenty of time options to visit. The best times to visit the Victoria Peak is best about one hour before sunset, where you can get a beautiful day time view and then the night time view in one visit. During the day, you get to see the hustling in the city harbour, and in the night you can enjoy the serene lights visible all through the city. Visibility during the day can be affected by fog or smog and that’s hard to predict on any particular day. I visited during mid September and was able to get some fabulous clear views of the city around mid morning. Another very notable spot in Hong Kong is the Man Mo Temple. Man Mo Temple is one of the oldest in Hong Kong and is a declared monument. This temple is dedicated to the gods of literature and of war. Built in 1847, this temple used to serve as a court of arbitration, in addition to being a place of worship. Upon visiting you will find the atmosphere peaceful, with dim lighting and lot’s of incense burning. It’s not a huge place, so spending around 20-30 minutes there will be ample time. 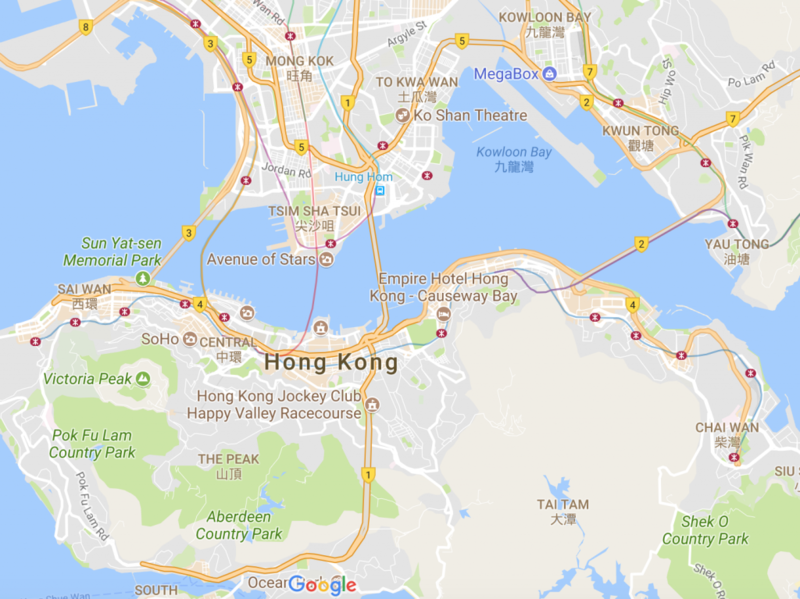 There are several popular neighborhoods in Hong Kong, so I have outlined what you can see and do in each area. Mong Kok is a suburb on the mainland and is packed with markets of all kinds. 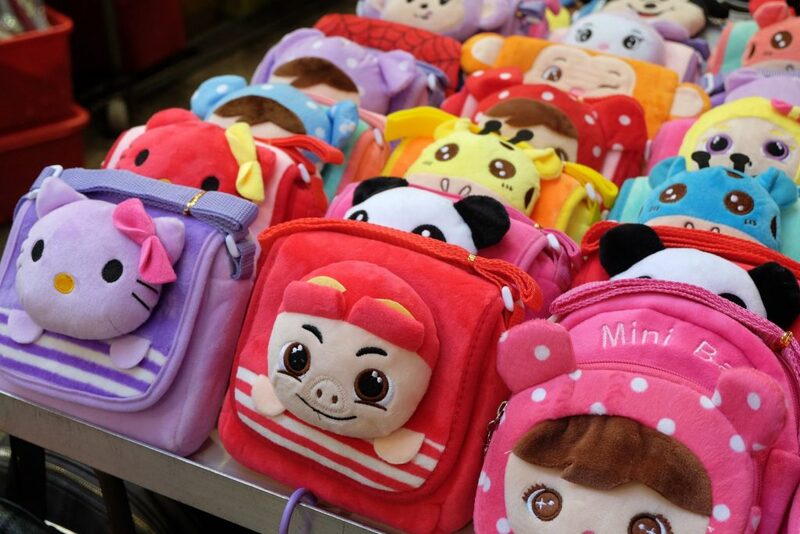 The temple street night market is the liveliest night market in Hong Kong. 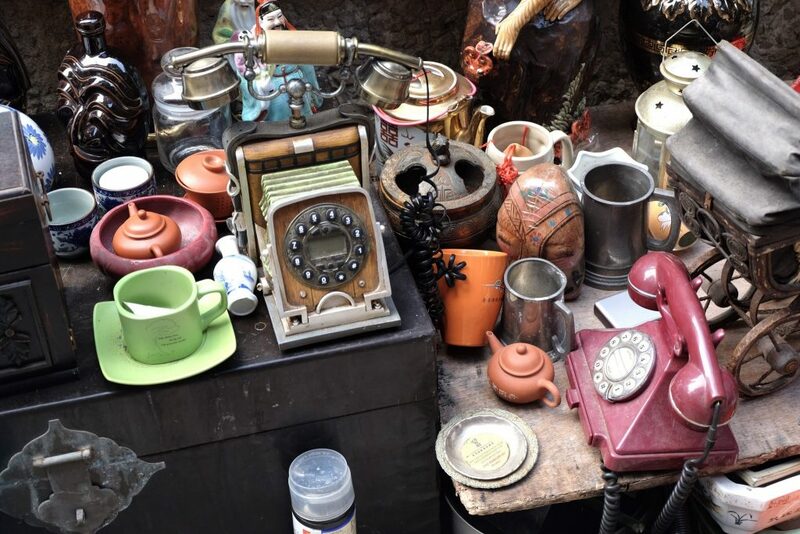 Do you love to haggle? Prepare your negotiation skills and get ready to dive into this area with wall to wall souvenirs, nicknacks, gadgets, clothes, bags, the list is endless.There are several open air food stores in this market, so you can be sure to find something that entices your appetite whilst you wander about. 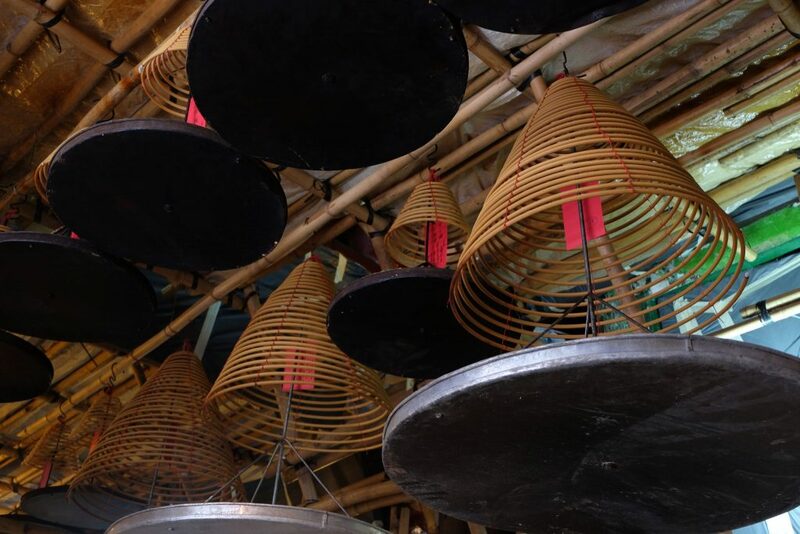 There is also the Ladies’ Market, Sneaker Street (shoes, shoes and more shoes), the flower market and for something a little different there is the the Yuen Po Street Bird Garden. 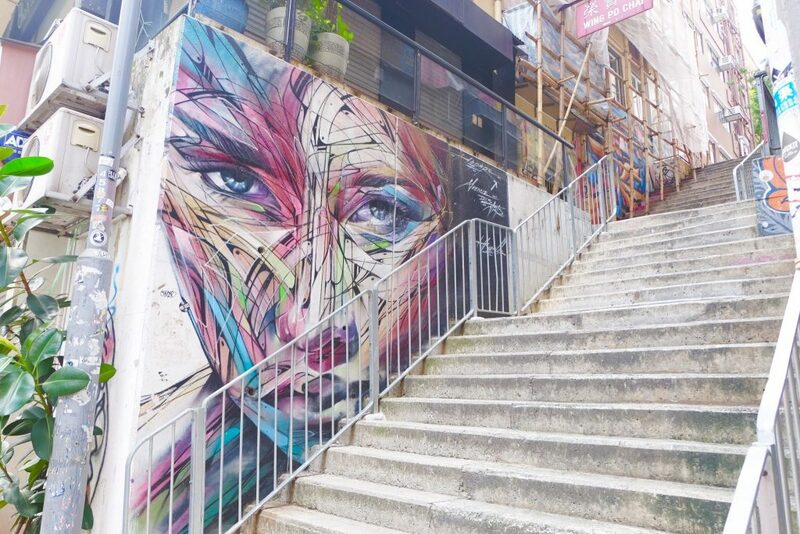 This is a relaxed area of Hong Kong that features various art and cultural attractions. If you are a lover of art, then this area is really for you. Featuring Art galleries, lot’s of street art and boutique cafes in almost every corner of this neighborhood. 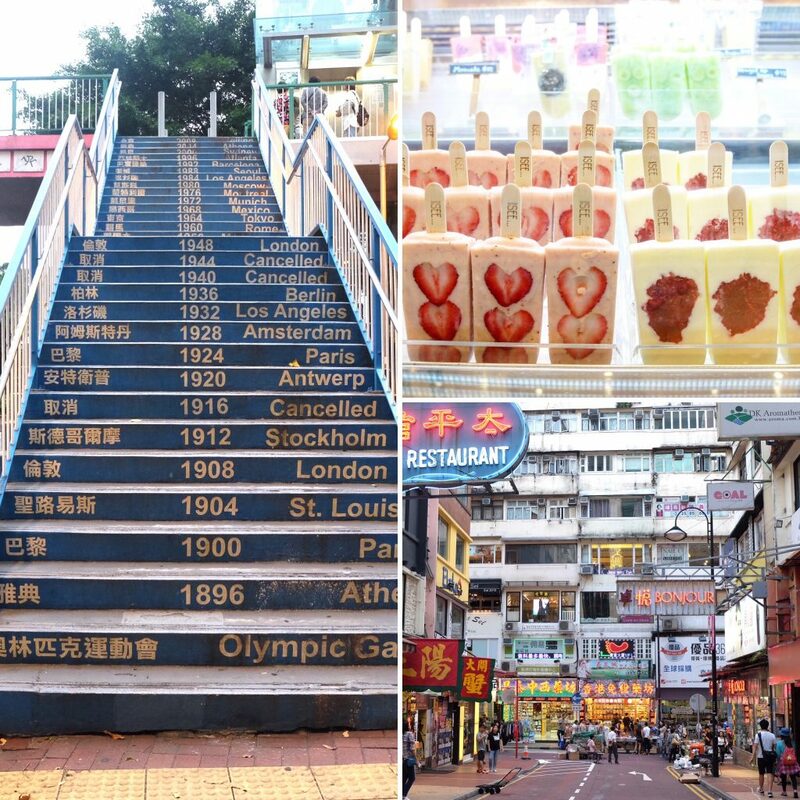 This city is well decorated with impressive architecture and features other attractions like the Cat’s Street Market, Seafood street, Medicinal street and the Hollywood Road. Man Mo Temple is also located along Hollywood Road. The Central district in Hong Kong, is literally the heart of Hong Kong. It is the center for banking, administration and other business related activities. There are lots of restaurants and bars to cater for tourists in this city area. In and around the streets you will also find traditional markets and food street stalls that livens up the area. 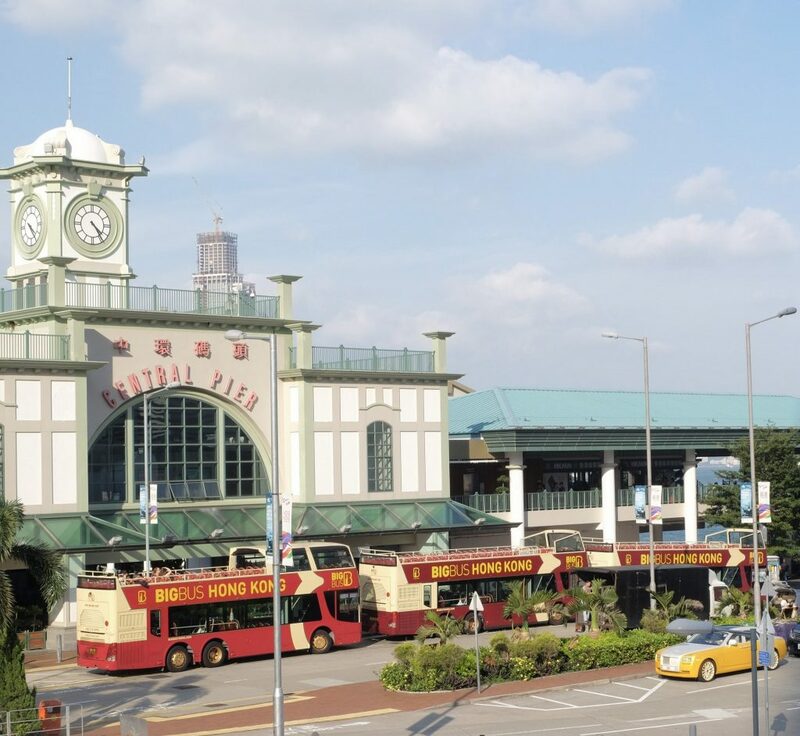 The Zoological and Botanical Gardens, the Peak Tram and the Hong Kong Park can all be found in Central. 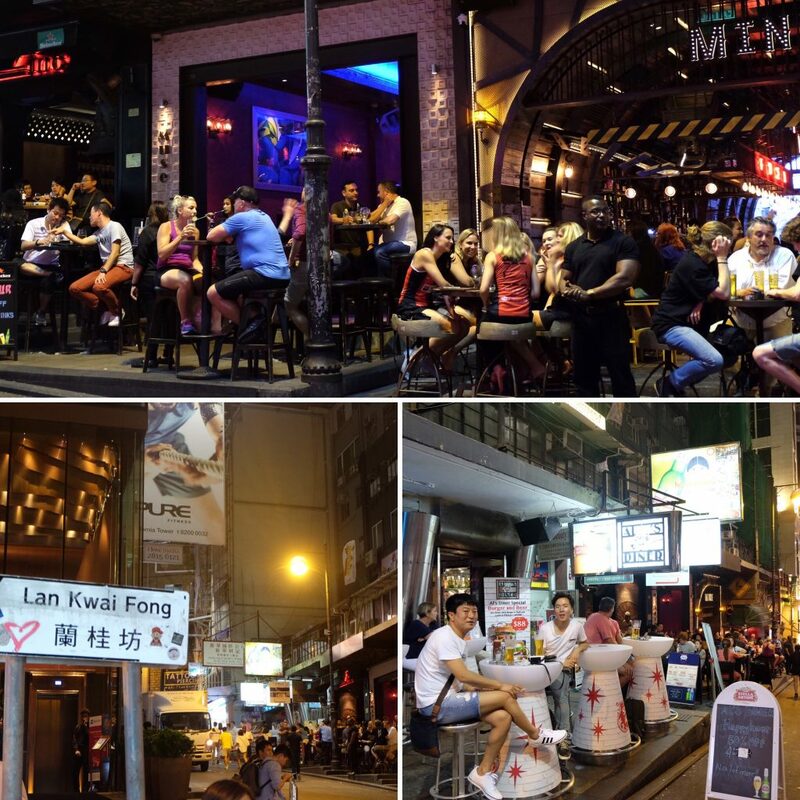 The Lan Kwai Fong features the hub of night life in Hong Kong. Whilst in contrast, the Soho area is packed with sophisticated and boutique restaurants. The Midlevel Escalator will ensure you get to wherever you are going efficiently. 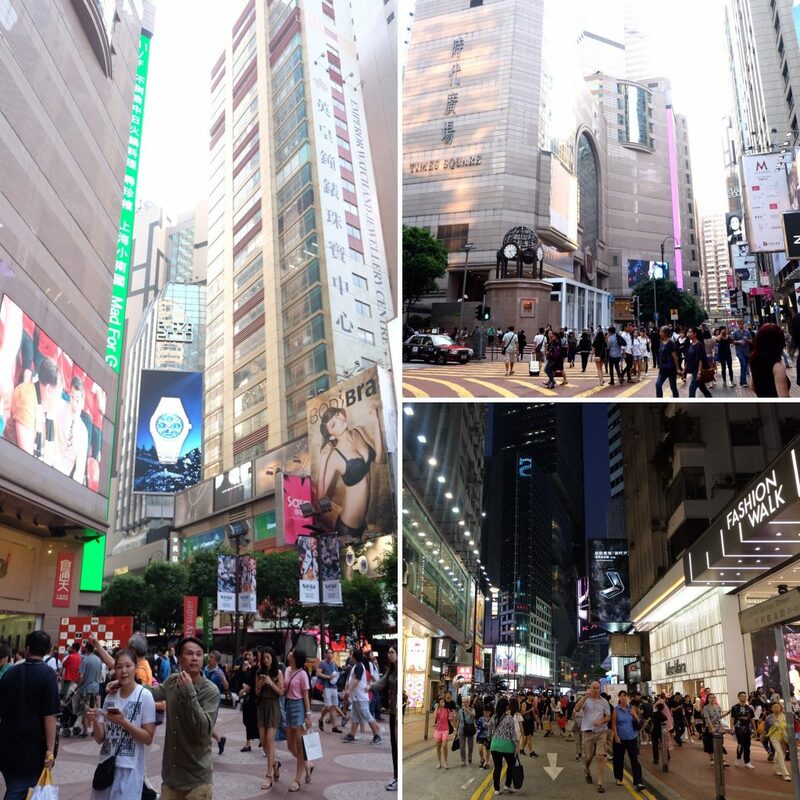 This is the retail area of Hong Kong that features super malls and high class restaurants. 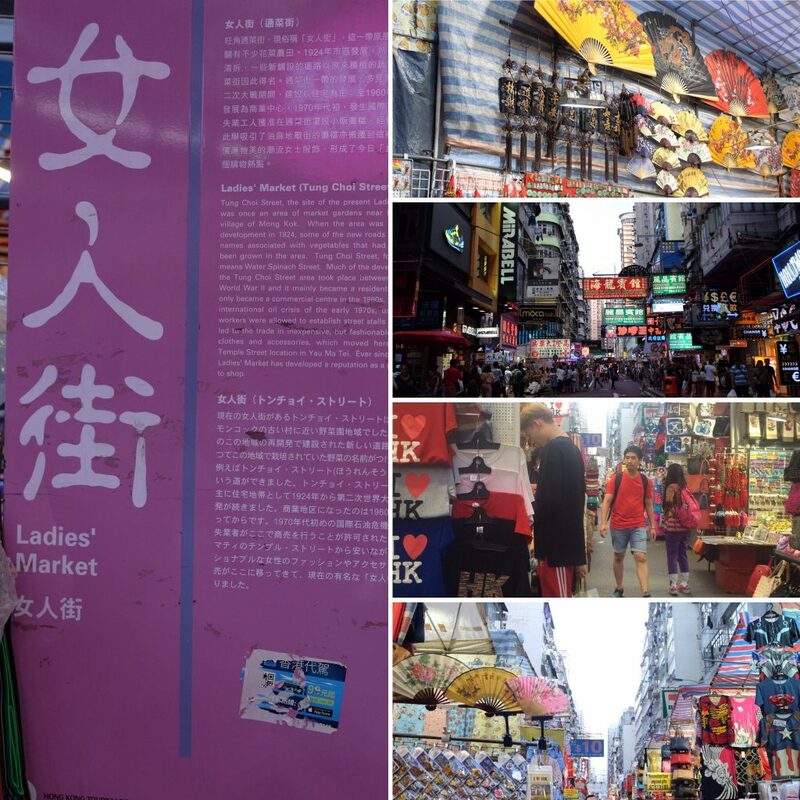 It has a Times Square look alike with neon signs flashing everywhere and is the place to go if you love to shop. This is one of the areas with the highest rents in Hong Kong and is more polished than other districts. 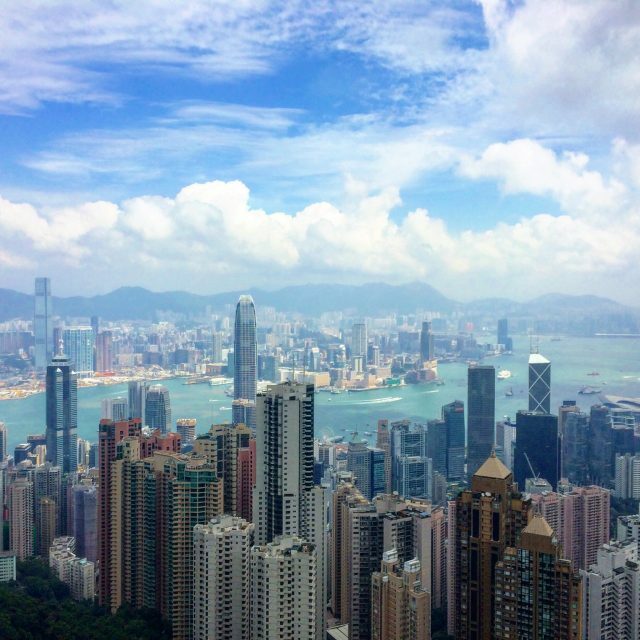 People often ask this question – When is the best time to visit Hong Kong? The truth is that Hong Kong is a great place to visit all year round. Hong Kong is a subtropical region, meaning that it has no peak climate changes as such. Summers Jun-Aug) are generally hot, humid, and can be wet at times. Winters (Dec-Feb) on the other hand are cool and dry. The spring (Mar-May) features cool evenings, with pleasant breezes but often brings cloudy conditions. Autumn (Sept-Nov) sees lots of sunshine and pleasant conditions. Generally, Hong Kong weather is very mild for most of the year, even during the typhoon season. Whilst you may not experience a typhoon or a tropical storm, it is certainly a possibility anytime between May and November. I visited during mid September and found the weather to be perfect with temperatures around 25 degrees with sunny breaks. 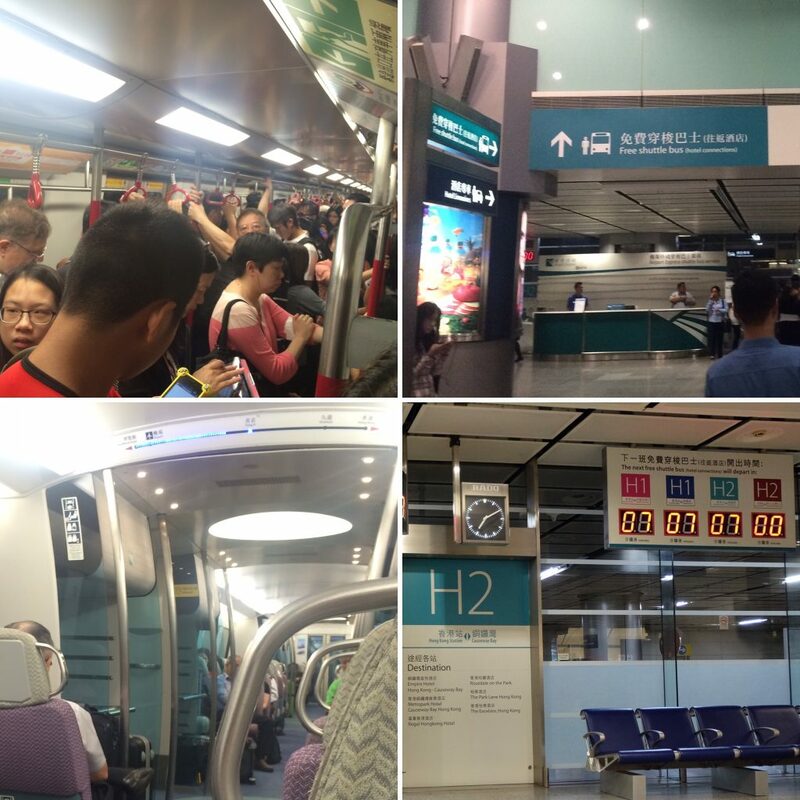 Getting around Hong Kong is very easy because of its Mass Transit Railway System (MTR). This system covers all the major tourist spots around Hong Kong, extending to boundary channels along Mainland China. The MTR is made up of 11 rail lines. Tourists can purchase a $65 Adult day pass or $30 day pass, which allows an unlimited day’s travel on the MTR. This ticked is valid for one month right from its date of issue. Octopus Card is a load and go card that you can use on Buses, Star Ferry, Peak Tram, Tram & MTR Trains. It also offers the commuter a discount of 5% to 10% on some fares. These cards are readily available at the airport, MTR stations and convenience stores. Load your card up with HK$150 (approx US$20, AUS$25) and away you go. Getting from the Airport to the city is fairly simple. Once you have cleared customs, follow the directions to the Airport Express. This is a convenient 20 minute ride to Kowloon Station (mainland) and Hong Kong Station (Hong Kong Island) in 25 minutes. At your arrival station, you can take advantage of the free shuttle bus that will take you to as close as possible to your hotel. I used this free service at the Hong Kong Station and was dropped about a minutes walk from my hotel. Make sure when you arrive in Hong Kong you pick up a tourist Hong Kong map. It will also double as a transport map when you ride the MTR. You can pick one up once you arrive at the Hong Kong airport. 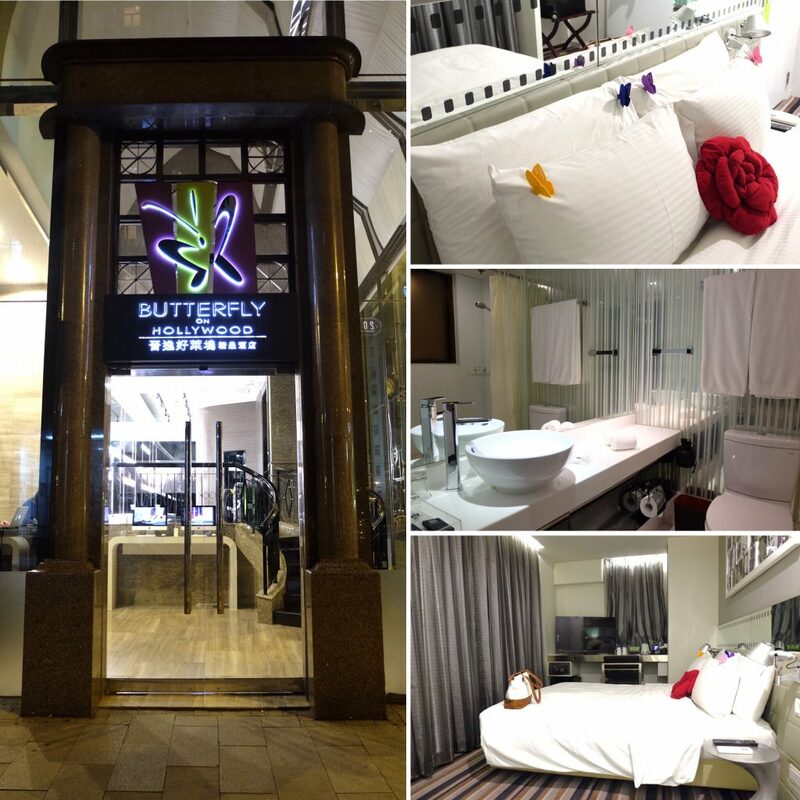 During my four day stay, I chose to stay in Sheung Wan at the Butterfly on Hollywood. 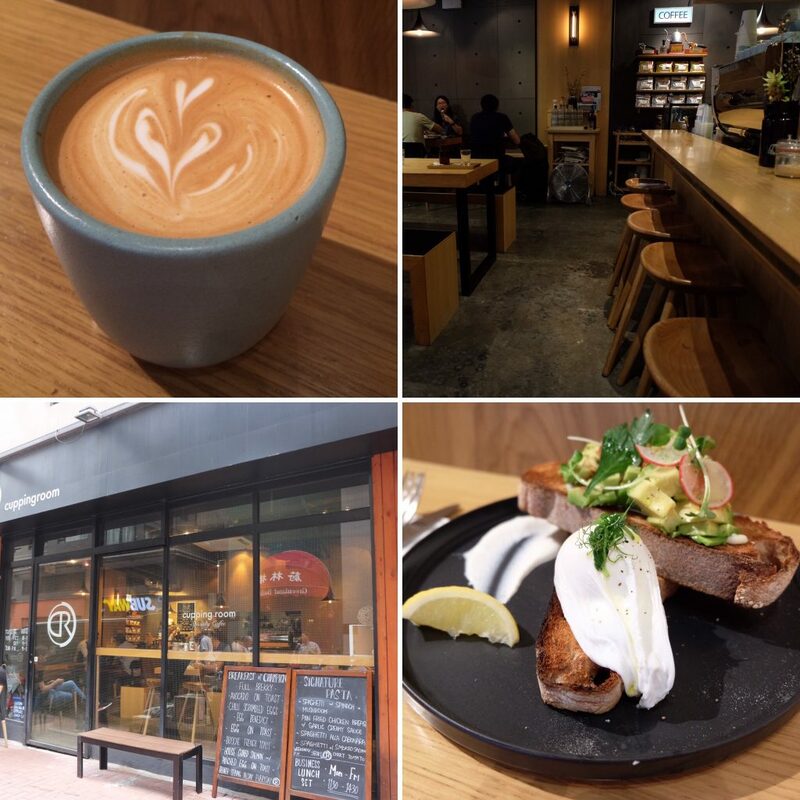 I found the location great and I really enjoyed my walks around Hollywood Road and the surrounding areas. It doesn’t really matter where you stay in Hong Kong as every area is simply accessible by the MTR. I did find that I spent most of my time on Hong Kong Island as that is what appealed to me. 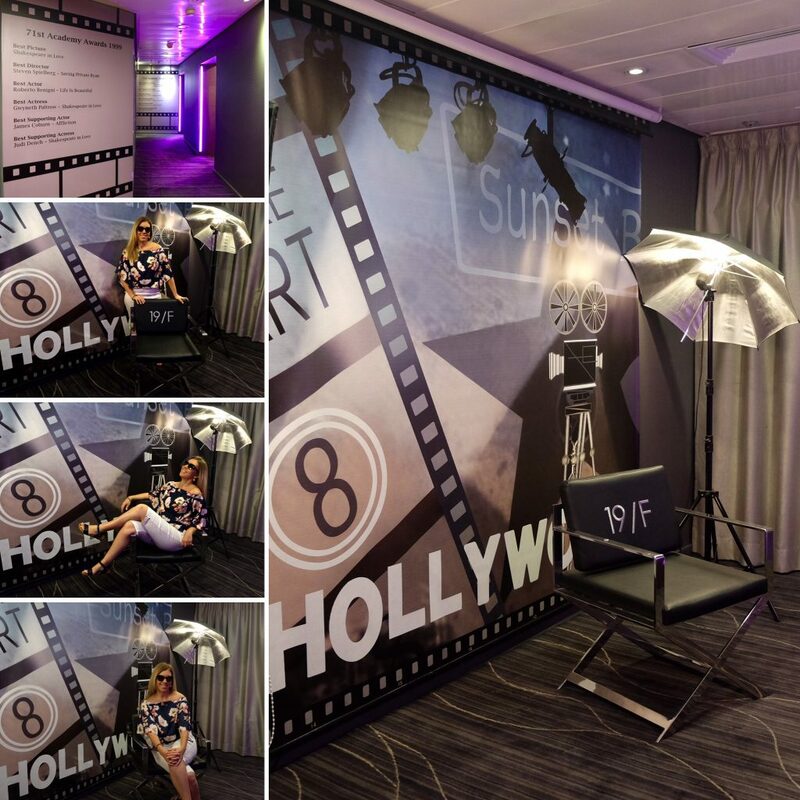 A bit of fun at the Butterfly on Hollywood Hotel, each floor had a movie theme. Hong Kong has a crazy amount of choices when it comes to dining. 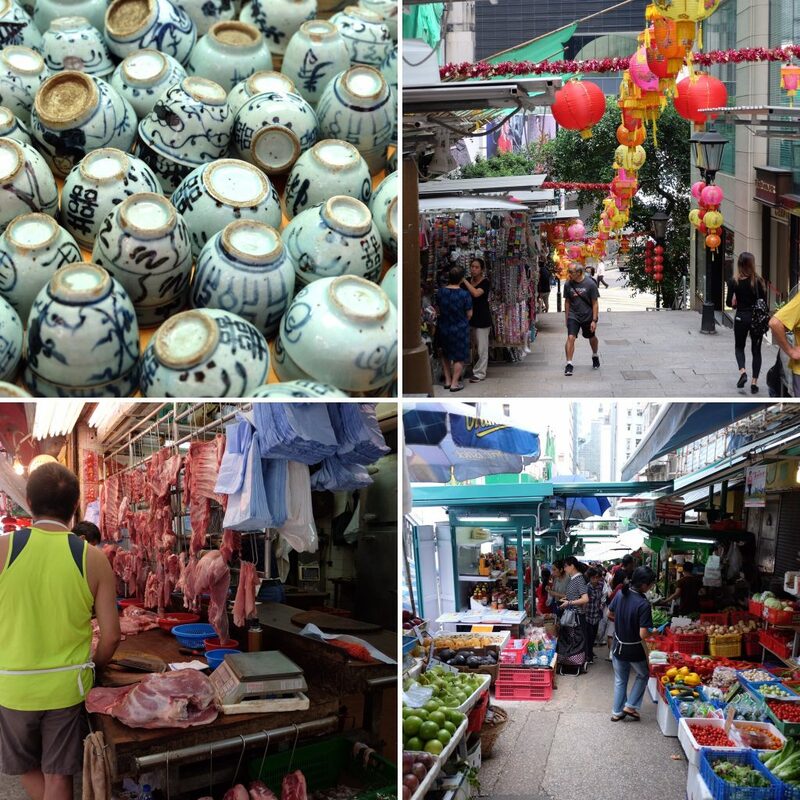 From budget street food to Michelin star restaurants, you’ll find it all in Hong Kong. Whilst you’ll have your own tastes and style, I’ll show you here a few places I went to that I found fabulous. I went to all the below restaurants as a solo diner. I found a great little cafe called The Cupping Room, that has amazing coffee and food. I had breakfast a couple of times here and both times it was great. It gets very busy with expats and locals. There are actually quite a few boutique coffee places lurking in and around corners and some you will only find if you are wandering the lanes. Other places I can highly recommend are the weekend brunch at MO bar, which is at the Mandarin Oriental. I also checked out Aqua, Social Place and for a drink at a rooftop bar I visited Sevva and Wooloomooloo. The lunch I had at MO was absolutely amazing, beautiful food and such fine attentive service. I went for the weekend brunch that consisted of 4 courses (that I could choose) and free flowing Moet & Chandon champagne which cost me about HKD$588 (US$75 or AUS$100). It was money well spent, did I mention that the Moet & Chandon was free flowing, have as much as you like, because they just keep topping you up! If you want an exquisite experience with a view of the harbour then you can’t go past Aqua. The menu is an Italian and Japanese fusion, I can’t comment on the main meals, but the dessert tasting plate was divine. 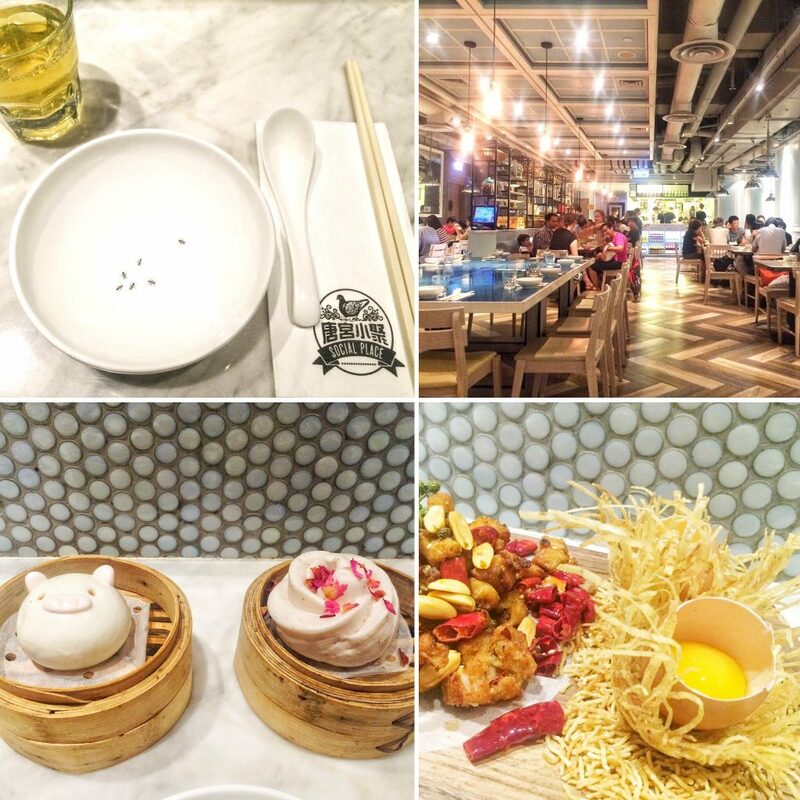 The Social Place is vibrant and extremely popular, serving a modern Chinese cuisine. If you visit Hong Kong, then you can’t leave without visiting a roof top bar. I dropped by Sevva during the day to try their cocktails and take in the harbour view. Most people come here to sample the cocktails, desserts and take photos of the view. 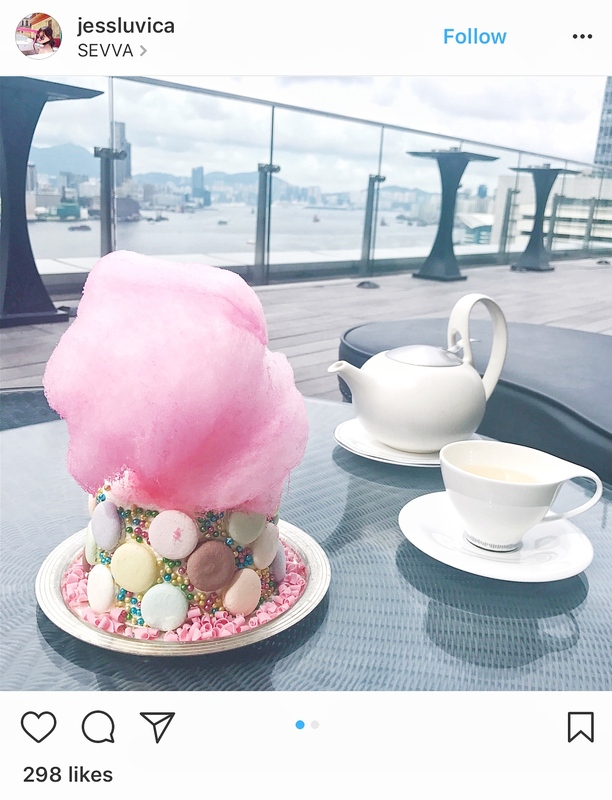 The most popular item served at Sevva is the fairy floss cake, which features heavily on instagram. I would have loved to have ordered this cake but after seeing how big it was, and much to my sadness, it was way too much for one person. Hong Kong is a very safe city, there are lot’s of people about well into the night. I felt really safe wandering around the city at night by myself due to the number of other people doing the same thing. Hong Kong is a great place for someone to visit as a solo traveller, the people are friendly, there is so much to see and do, it’s safe, it’s easy to get around and there are so many restaurants that you can just walk into from the street (even five star restaurants). I didn’t visit Disneyland as I only had four days in Hong Kong and I already had a full itinerary. I have visited Disneyland in Paris, so I didn’t feel I was missing out on anything. Located on Lantau Island, you can catch the MTR from Hong Kong Station or Kowloon Station to Disneyland in around 45 minutes. You will need to take the Tung Chung Line. Did you know that you could visit China for the day without a visa (depending on which country you are from)? This can be done as a day trip from Hong Kong. Macau is currently an autonomous sovereign from China and will be until 2049. It was a Portuguese colony up until 1999 and at the time was the last European colony. Getting there is by Ferry which will take around one hour to cruise from Hong Kong to Macau. Macau has a lot of history and due to the Portuguese influence, you can see a mix of Portuguese and Chinese style buildings and culture. Macau is also an island of luxury resorts and world class casino’s. In fact Macau has the largest gaming revenue in the world and it’s economy relies on this sector. It is also one of the richest regions in the world. So if you fancy a little flutter then Macau is your place! Tip if you plan on visiting Macau, make sure you bring your passport as you will be required to fill out an arrival card upon entering. In some cases and depending what country you reside, you may need to fill out a Visa on arrival. Excellent ideas and suggestions. How many days would you recommend staying in Hong Kong? Hi Agness, I would recommend at least 3 days but if you have the luxury of time then 4-5 days would be perfect to see it properly. Really thanks for sharing this useful post !! Hong kong is a nice place to visit for holidays and i will definitely visit these places with my friends.